We required only male candidates in our office based at Thane.We are leading Executive Search Firm in Pharma,Chemicals,Manufacturing. 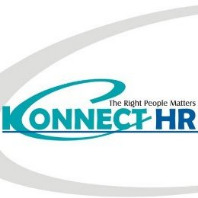 Konnect HR, Executive search firm based at Mumbai, which has asserted its stout and vigorous presence in the pharmaceutical , Biotechnology and Healthcare Industry Since 2010 .We have handled more than 500 searches at senior and Middle management level. Candidate must have 1-3 years of experience in Pharma /Chemical Recruitment . •Understanding the requirements of a position/role from the business. •Managing End-to-End Recruitment Outstation and Local Drives. •Preparing Excel Dashboards and Reports. •Sourcing Profiles from Naukri based on the needs. •Working on the Referral Experience for promoting inbound pool of applications to reduce the cost of Hiring. •Managing the communication of Referral Mailers sent to all the employees. What we want from You. Experience: 1-3 years of experience in Recruitment specially in sales ,Marketing position are preferable. If best performer ,you will get out of turn growth with us.